Is there a tea that can compete with coffee? We are definitely not a coffee family in my house. 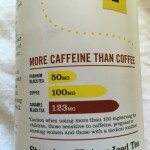 But with kids, work, school, life…there are times when we need that jolt of caffeine that only coffee or Red Bull seem to give – and I hate the taste of both! So when a free sample from The Republic of Tea arrived in the mail with some of the Caramel Black HiCaf Tea in the box I was a little little skeptical. Was it really going to be as strong as any coffee or an energy drink? Is it going to taste like sludge? 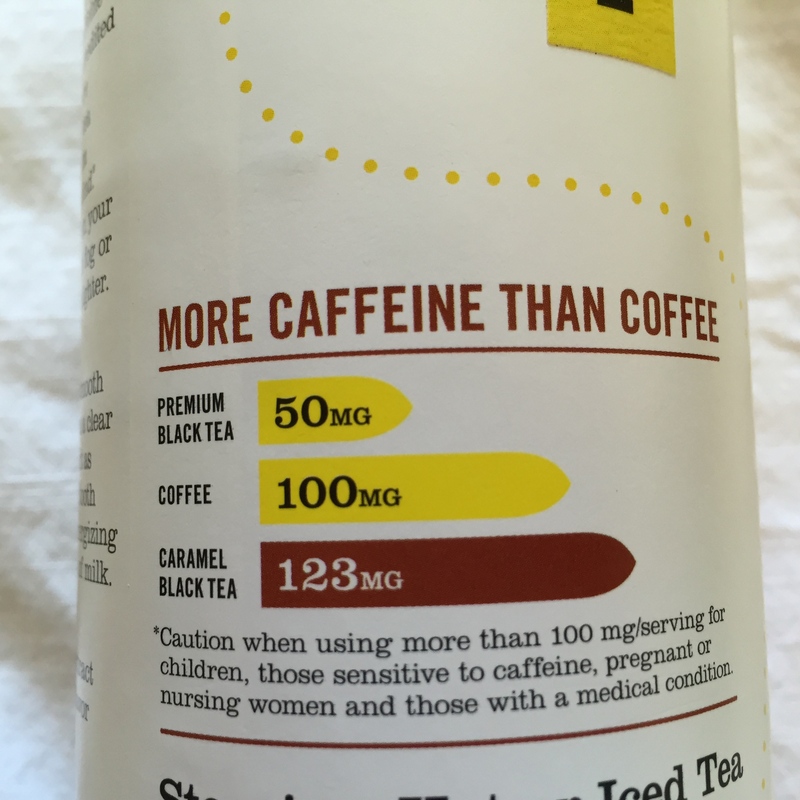 If it does have a lot of caffeine am I going to get a migraine? (It happens some time.) I wasn’t sure what to make of it. So I let it sit in the cabinet for a week until my 3-year-old daughter decided that wouldn’t it be nice to wake mommy and daddy up at 6 am on a Saturday. Sun’s up, so we all must be up. I could barely keep my eyes open. Then I remembered – the tea! So I made a cup for my husband and myself. Taste – It’s a smooth slightly sweet caramel on top of a nice traditional black. If you like sweet, you will LOVE this tea with a touch of sugar. It was fine without any sugar, not overly sweet. My husband and his big sweet tooth (and sugar cubes) thought this was the bee’s knees. He should be writing this review he loved it so much, but alas he’s too busy. Buzz – So I was raring to go after this one cup, but without being jittery like I get with coffee. It kept me going until the afternoon. I got through all the cleaning in the house, some projects and went to the park on one cup of tea. Usually I need 3 cups. 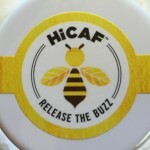 There’s 123 mg of caffeine in a properly brewed 6 oz cup of this HiCaf Tea! Wow! It even has a warning on the label. And I was buzzing about like the busy little bee that’s on their label. My husband on the other hand was not feeling as pumped up as me – awake but not exactly ready to conquer the world and the moon like me. But he’s not as sensitive to caffeine as I am. I could have used this tea at university when I needed to stay up late writing a paper but still needed to think coherently. My husband got to the kitchen first on Sunday morning and decided to brew a pot of tea – the nice husband that he is. You can probably guess where this is going. He put in the Caramel Black HiCaf Tea, because he loved the taste of it so much. Also, he failed to tell me that he put that in the pot. I thought it was another caramel that we had in the cabinet. Silly me! This did not bode well for me. Since I’m more sensitive to caffeine I was seeing the effects of drinking 3 cups of it. Needless to say when I realized what happened, I was downing water to flush it out. I was okay. But I could see if you have kids in the house who drink tea and might not understand that this one has too much caffeine for them, you’re going to want to put this tin in an odd/out-of-the-way place. 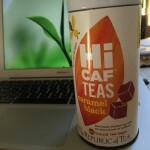 If you like slightly sweet teas and you need a quick jolt of energy – get the Caramel Black HiCaf Tea from The Republic of Tea stat! It will save you on the weariest of mornings. And it tastes good to boot. Not a combination that you always get – one that you definitely don’t get with Red Bull (imho). But be aware of just how much caffeine you’re taking in.